We’re committed to finding innovative treatments for children with cancer and blood disorders. The Aflac Cancer and Blood Disorders Center is uniquely positioned to leverage the vast knowledge and capabilities in Atlanta through collaborative relationships with Emory University, Winship Cancer Institute, Georgia Tech, Morehouse University School of Medicine and the Centers for Disease Control and Prevention (CDC). Working together, we continue to seek personalized cures for the most challenging childhood oncologic and hematologic conditions. 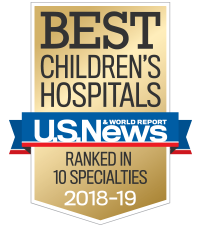 Our goal is to provide an open clinical trial for every child we treat so our patients do not have to travel to other states for innovative care. We also serve as a referral center for patients from across Georgia and throughout the U.S. who otherwise might not have access to Phase I and II trials. Identify the molecular pathways linked to the development and evolution of acute and chronic GVHD. Develop novel, nongenotoxic targeted conditioning for hematopoietic cell transplantation (HCT). Develop immunobiology of immune dysregulation. Develop gene therapy for hemophagocytic lymphohistiocytosis (HLH). Our researchers are investigating the metastasis (spread of cancer to another part of the body) of medulloblastoma, a type of brain tumor that occurs in infants and young children. In addition, they’re exploring safer, more effective methods of treatment for children with brain tumors. Targeted therapeutics: The discovery of new medicines (targets) to change the way cancer cells behave. Our doctors are conducting clinical trials to test identified targeted therapeutics for children with brain tumors. Genomic biomarkers: Insights into the biology of children’s brain tumors that have led to clinical trials to test new medicines. Nanotechnology: The study and creation of targeted, molecular-sized nanoparticles to treat diseases. Nanomedicine has the potential to revolutionize the treatment and care of—and ultimately cure—childhood diseases and conditions. Regulation of medulloblastoma metastasis: Research to develop a drug therapy that stops the spread of medulloblastoma as an alternative to the often-damaging whole-brain radiation therapy, which follows surgery to remove a brain tumor. Currently, Tobey MacDonald, M.D., is studying medulloblastoma. However, if the approach is successful, it could potentially be applied to any kind of tumor anywhere in the body. Oncogenic signaling in medulloblastoma: A study to find a gentler cure for medulloblastoma. Robert Castellino, M.D., is researching a gene called wild-type p53-induced phosphatase (WIP1). Our grant-funded clinical research studies aim to better understand, detect and manage late effects of cancer therapy. Additionally, we aim to improve our ability to educate, empower and promote health in survivors. Our researchers also have leadership roles in the Children’s Oncology Group Long-Term Follow-Up Guidelines Task Force and the International Late Effects of Childhood Cancer Guideline Harmonization Group. These groups are national and international experts in survivorship that develop the guidelines used to help detect and prevent late effects in survivors. Cancer SurvivorLink is an online resource designed to support care for survivors of childhood cancer. It provides educational materials to improve awareness of survivorship issues, best practices in survivor care, and a secure way to electronically store and share health documents. Assessing the impact of SurvivorLink on adherence to cancer survivor care and late effects visits and screening. Establishing a network of college health providers, who are knowledgeable of the needs of survivors, at colleges and universities throughout Georgia. Childhood Cancer Survivor Study (CCSS): This National Cancer Institute funded study explores health problems that develop later in life as a result of cancer treatment, also known as late effects. Consortium for Pediatric Intervention Research: Consortium to support the feasibility of delivering intervention and develop opportunities for definitive clinical trials. Gene therapy is a technique that uses genes to treat or prevent disease. Using this therapy, researchers insert one or more corrective genes, which have been designed in the lab, into the genetic material of a patient's cells to correct the effects of a disease-causing mutation. Our basic research in gene therapy focuses on inherited diseases, such as hemophilia, sickle cell disease and hemophagocytic lymphohistiocytosis (HLH), and cancer. Our researchers are focusing on introducing corrective genes into bone marrow stem cells to treat several diseases caused by single gene defects. Recombinant viral vectors, which are used to deliver genetic materials into cells, have the potential to be a cure for hemophilia A, sickle cell disease and HLH. Using high-expression elements and optimized gene sequences can enhance protein expression and enable the use of several gene transfer plaftforms. For example, enhanced expression of factor VIII (the protein mutated in hemophilia A) can reduce the cost of recombinant fVIII production. Approximately 70 percent of patients with hemophilia A aren’t treated due to cost constraints, so a reduction in the cost producing fVIII will increase access to the protein. Our researchers are pioneering an approach to treat cancer using novel immunotherapies—treatments that use the patient’s own immune cells to kill cancer. One strategy that is being developed has been termed drug resistance immunotherapy (DRI). Our scientists are exploring whether immunocompetent cells (those with a normal immune response) can be genetically engineered to withstand the toxic effects of chemotherapy, and, if so, whether the genetic modification makes it possible to use both chemotherapy and cell-based immunotherapy. The ability to use both types of treatment, rather than a single approach, could improve survival rates. A second approach is to genetically engineer immunocompetent cells with genes that direct the cellular killing mechanisms to the cancer. This approach, termed chimeric antigen receptor modified T cells (or CAR T), has been successfully used to treat cancers originating in the blood. Our researchers are focused on cancers that affect children, such as neuroblastoma and leukemia. The focus of our clinical research on hemostasis (stoppage of bleeding or hemorrhage) and thrombosis (blood clotting) includes rare bleeding disorders like hemophilia and von Willebrand disease (VWF)/low VWF, qualitative platelet disorders and deep vein thrombosis and pulmonary emboli. Our researchers are investigating safer, less toxic and more effective methods of treatment for children with leukemia and lymphoma. Our team is investigating safer, less toxic and more effective methods of treatment for children with leukemia (cancer of the blood) and lymphoma (cancer of the lymphatic tissues). The Aflac Cancer Center Leukemia Biorepository is led by Sharon Castellino, MD, MSc, and Deb DeRyckere, PhD, and is a resource for the study of rare leukemia. MERTK-Targeted Therapies: The lab of Douglas K. Graham, MD, PhD, and Dr. Deryckere focuses on understanding roles for the MERTK protein in leukemia and other cancers. They are developing and optimizing drugs to target MERTK in tumor cells and the immune system. MRX-2843, a first-in-class MERTK-selective inhibitor resulting from this effort, is currently in Phase I clinical trials. Nuclear MERTK: Katherine Minson’s, MD, research focuses on the role MERTK plays in the nucleus of leukemia cells. MERTK has been studied on the cell surface, but it’s role in the nucleus of cancer cells may affect genes influencing growth and survival. Study of the biology of MERTK in the nucleus could lead to advances in understanding how leukemia develops and how to better treat it. CALM-AF10 biology in leukemia: The lab of Daniel S. Wechsler, MD, PhD, and Waitman Aumann, MD, studies the role of CALM-AF10 in the development of leukemia. They are focusing on novel therapeutic interventions for aggressive CRM1- and HOXA dependent leukemias. Tyrosine kinase inhibitor (TKI) therapies: Dr. Castellino and Himalee Sabnis, MD, MSc, are studying the late effects of TKI therapy on growth in children, and on how these therapies may impact immune function and long term cardiovascular health in pediatric patients. Outcomes in patients with leukemia and lymphoma: Dr. Castelllino’s team uses epidemiological methods and patient reported outcomes to evaluate side effects of therapy and long term health for populations with leukemia or Hodgkin lymphoma. She also studies late effects on the heart in childhood cancer survivors toward finding biomarkers for cardiovascular late effects. Cancer Control and Supportive Care during Leukemia Therapy: Tamara Miller, MD, MSCE, is focused on understanding side effects of treatment for pediatric leukemia during therapy. She is using electronic medical record data and bioinformatics to develop novel approaches of reporting on clinical trials. This will improve our understanding of the rates of side effects and enhance epidemiologic approaches to studying the benefits of therapy for pediatric leukemia. Experimental therapeutics for PTPN11-associated leukemia: Cheng-Kui Qu's, MD, PhD lab studies molecular mechanisms by which activating mutations of PTPN11 (SHP2) cause childhood juvenile myelomonocytic leukemia and other leukemia. Research in his lab is focused on understanding cell signaling and metabolic regulation of cell development and leukemogenesis with a focus on tyrosine and lipid phosphatases in normal hematopoietic stem cells and leukemic stem cells. Chronic inflammation, immunity, and leukemia development: Curtis Henry, PhD, studies the role of chronic inflammation, aging, and obesity on leukemogenesis, immunity, and therapeutic responses. Identified modulators that induce resistance to chemotherapies or immunotherapies are being examined to determine their therapeutic potential in high-risk populations. Molecular mechanisms of leukemogenesis and treatment resistance: Christopher Porter’s, MD, lab studies WEE1 as a chemosensitizing target in acute myeloid leukemia. They are also studying the transcription factor ETV6 for it’s role in leukemogenesis. Targeting MDM2 in cancer treatment: Muxiang Zhou, MD, and Lubing Gu, MD, are searching for small-molecule compounds that can induce degradation of MDM2 oncoprotein, and thereby lead to novel targeted-therapies. Normal and leukemic cytokine signaling: Kevin Bunting, PhD, is studying the biology of signal transducer and activator of transcription 5 (STAT5) and its role in normal production of blood cells. His lab is also focused on targeting persistently activated STAT5 in leukemia using novel calcium-modulating drugs delivered to the bone marrow via receptor-targeted nanoparticles. In addition, Dr. Bunting is studying the Grb2-associated binding (Gab) protein family and their role in hematopoietic stem cell homeostasis and immune cell activation through compound mutant mice lacking Gab1, Gab2, and Gab3. Chimeric antigen receptor (CAR)-based cellular therapies: Sunil Raikar, MD, is working on developing novel CARs specifically for T-cell leukemia. Dr Raikar is utilizing innovative CRISPR/Cas9 genome editing technology to knockdown surface expression of target antigens on CAR-T cells thus enabling its use in T-cell disease. Innovative therapy in pediatric leukemia and lymphoma: Dr. Sabnis is leading a Phase I clinical trial using everolimus with chemotherapy to improve survival in patients with relapsed T cell acute lymphoblastic leukemia or lymphoma. This trial funded by the CURE Childhood Cancer Foundation will include four other participating pediatric cancer institutions. Sickle cell disease is an inherited blood disorder that causes red blood cells to change shape. Our researchers are seeking ways to improve outcomes and quality of life for children with this disease through blood and marrow transplantation (BMT) and transfusion medicine (the transfer of blood and blood components). A solid tumor is an abnormal clump of cells that doesn't contain any liquid or cysts. They can occur in bones, tissues and organs. Transfusion medicine involves transfusion of blood or blood components. It’s used to treat diseases such as bone cancer, leukemia, sickle cell disease and others.